Reiki is a hands on form of Healing. The definition of Reiki: Rei – Universal Ki –Life force energy. This Healing Modality will connects you to Universal Life Force Energy, to open & activate your natural healing abilities greatly. It will enlighten your awareness to your intuitive gifts and raise your energy vibration. You will recognize your intuitive skills & feel them expand from clearer feeling, seeing clearer, hearing sacredly & feel more attuned to your higher mind through a deeper connection to your Higher Self. 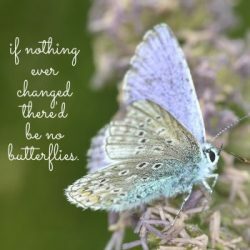 Accessing the foundation of transforming old energy into new energy & how we can assist our everyday lives with empowering thoughts, feelings & actions. You will feel & learn how to connect with your Chakra’s (energy centers in the body) Learning how to connect with balancing & aligning your energy, through Reiki Self Healing Treatments, protecting your energy, enhancing your energy, grounding & nurturing your energy. You will learn how to give a full Reiki Healing Treatment to friends & family members, as well as your pets. You will feel such a difference within your energy & the new energies that will come to you & lovingly surround you. Within the course you will learn about energy, energy vibrations, how you can manifest with your higher consciousness, how to protect your own energy, do cleansing rituals to keep your energy clear, vibrant & discover more deeply about your own intuitive abilities. Whether you are learning about Reiki for yourself or to heal others, Reiki will take you on a wonderful journey. From the Reiki Level 1 onwards you will have the Reiki energy with you to use in your everyday life & heal others with great purpose. This full day commitment will open pathways to greater knowledge & awareness expanding your consciousness.